Every year after Christmas, I always feel a little nostalgic. To extend my Christmas spirit, I find that I usually make a Christmas decoration for the tree or house. This year, I found a decoration for Christmas stars, and put my own twist on it. You can use any cardstock that you like. 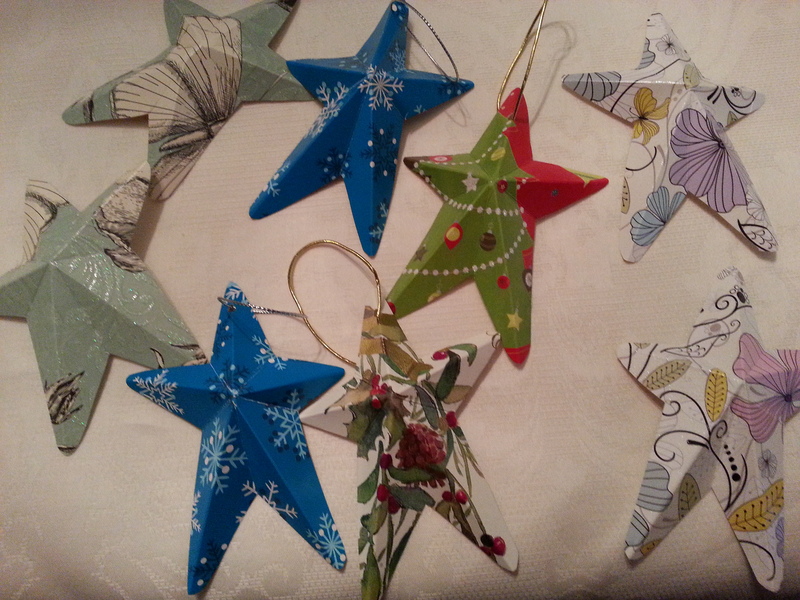 I used some Christmas cards and flyers to create these Christmas tree decorations. 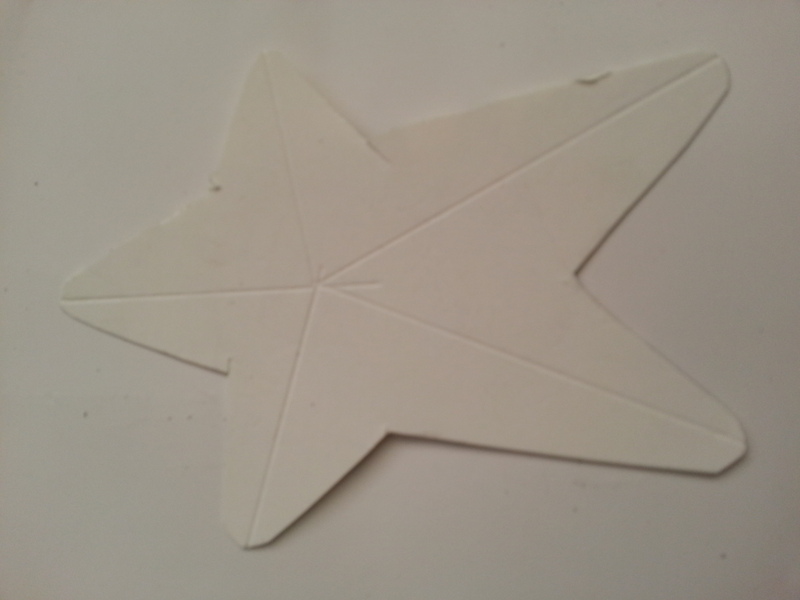 Instead of a 5 point symmetrical star, you can draw a star or use a template to draw an unsymmetrical 5 point star. You will need a bone folder and a ruler to make the ridges. 1. Flip the the star over to the back. Using the bone folder and ruler, draw a line from each point to the middle. 3. 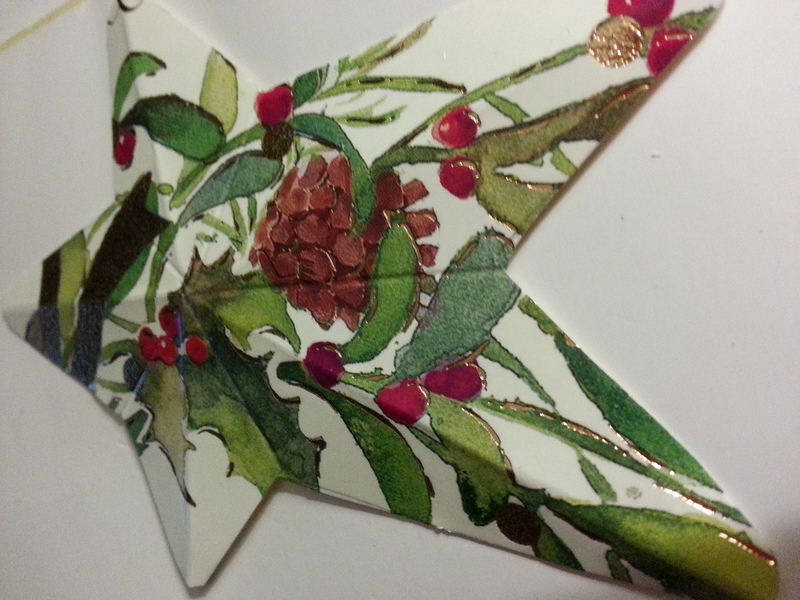 Press along each fold along the star. Tie a little ribbon and you have a Christmas tree decoration. These decorations are so light, it is great if the branches on your Christmas tree are thin. They also make cute tags. Enjoy and have a great 2015.